Similar to the colourful Splat! and Hot Spots, this brightly coloured mug is designed by Caroline Bessey for Dunoon. 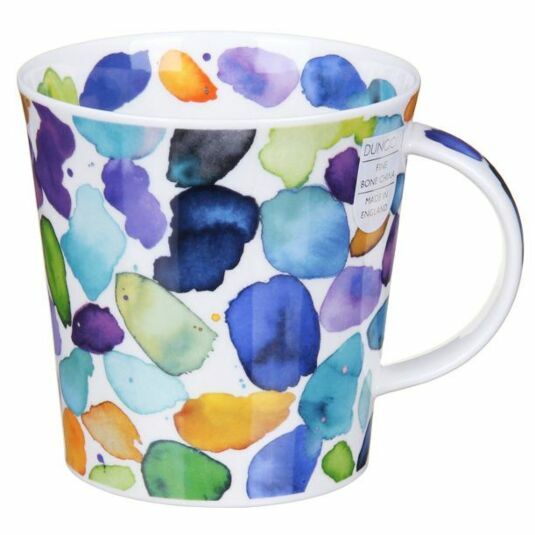 The design features vibrant blobs of watercolour paint in a random pattern. Cheerful and carefree, the mug will brighten any kitchen, and make a perfect birthday gift for a friend, mother or anyone who loves bright colours. 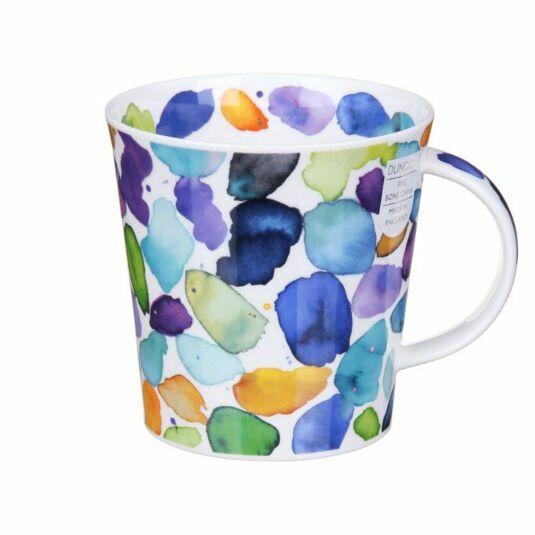 This mug is decorated with blue-hued blobs from the predominantly blue end of the spectrum, intermingled with the occasional orange and green.